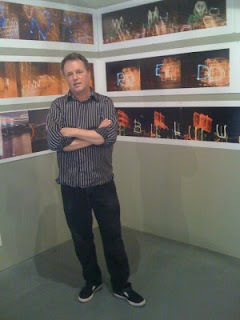 Tom Wojciechowski in front of some of his new work. 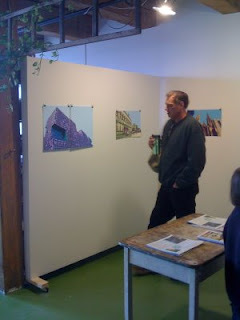 Visitors check out Justin Viglianti's photography. Congratulations to all of the artists and volunteers for another great Open Studios! 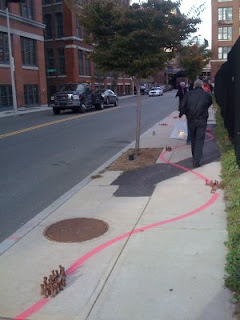 Has anyone else noticed that the pink squiggly lines are still all over the sidewalks in Fort Point Channel (well that is, until the snow just covered them up)? Yeh. You can see them poking out from the snow here and there. The pink is really bright against the white snow.